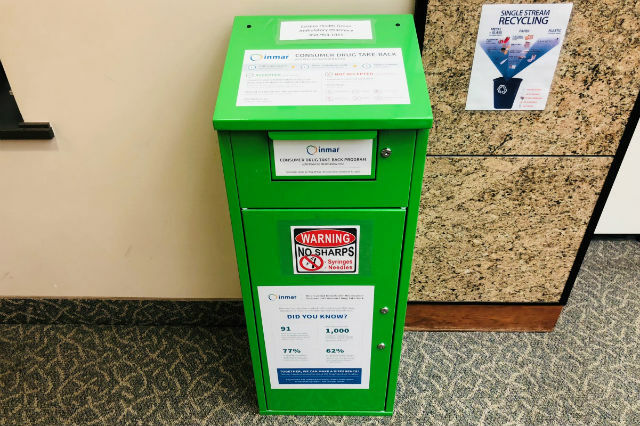 Scripps Health Tuesday installed three permanent drug take-back kiosks. Residents can drop off expired, unused and unwanted pills from 9 a.m. to 5:30 p.m. weekdays at the kiosks, which are attached to Scripps’ on-site pharmacies in La Jolla, Encinitas and the Hillcrest neighborhood. Scripps is the first health care provider in San Diego County to offer annual access to prescription drug disposal services, according to Dr. Ole Snyder, physician chair of the Scripps Opioid Stewardship Program. Scripps aims to reduce the public’s use of and dependency on opioids through the Stewardship Program. Roughly 54 million people have used prescription drugs like opioids for nonmedical reasons at least once, according to data from the National Survey on Drug Use and Health. In addition, 62 percent of teenagers who have taken prescription drugs recreationally say they got them from their parents’ medicine cabinets. This Saturday is Prescription Drug Take Back Day. From 10 a.m. to 2 p.m., the U.S. Drug Enforcement Administration, local law enforcement agencies and county officials will host collection events for unwanted prescription drugs at 44 sites across the county.